Erica Duarte is a gentle-looking and absolutely gorgeous American woman who rose to fame when she became romantically involved with popular American rapper, Stitches and eventually got married to him. Erica has severally made headlines for her romantic involvement with Stitches and some fans have often wondered how she came to fall in love with the controversial rapper being a gentleperson herself. Although she is best known by people as Stitches’ ex-wife; Erica has done things for herself in the past, building her career and surviving in America as a smart and beautiful woman with dreams. We bring you all you should know about Erica Duarte. The exact date in which Erica Duarte was born is not clear; some reports have said she was born in 1984 while others say she was born in 1985. When she shot into limelight, many people became interested in knowing some more about her life and tried to dig into her history. However, her exact date of birth is still a debated topic. This notwithstanding, we know that she was born in the United States of America. Details about who Erica Duarte’s parents are have remained vague over the years as she has remained tight-lipped on that aspect of her life. It has also not been proven if she is an only child or if she has siblings with whom she grew up together. Because she only became famous after marrying Stitches, it has become quite difficult to know much about her. 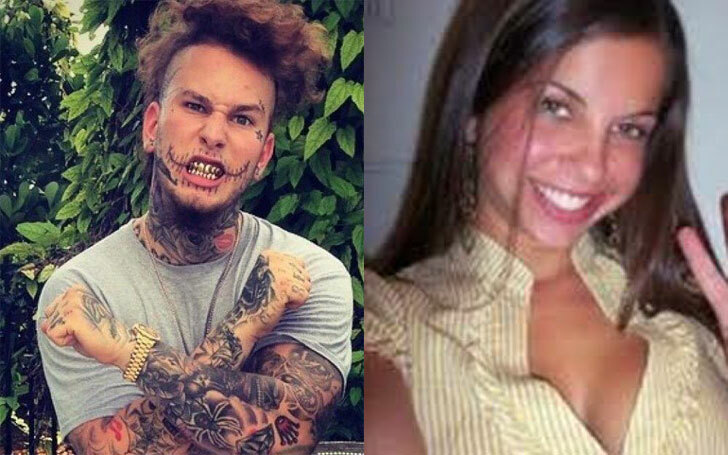 Even though fans of Stitches have tried to dig into Erica’s background, not much is known about where she had education, It is, however, believed that she has had some kind of schooling in America. Many people know Erica Duarte as the ex-wife of Stitches the rapper whose real name is Phillip Nickolas Katsabanis, but very few people know she was once on a Reality show. In 2008, Erica featured in Paris Hilton’s My New BFF, a reality show which aired on MTV. Paris Hilton, a very popular American singer, model, and actress was searching for a new best friend and so put together the show so she could select a BFF (best friend forever) from a list of contestants that included two men and 16 women. Erica Duarte took part in the contest. However, she did not make it to the finals and so could not become Paris Hilton’s BFF. The show did not make her famous around America, although she received some measure of exposure from it. The story of Erica Duarte cannot be told without the mention of Stitches in it. Her whole life changed when she met him. Banking on his fame, she shot into the limelight and became a highly sought after person herself. According to reports, Erica met Stitches while she was on the Paris Hilton’s My New BFF reality show. They became interested in each other and started dating. Many people were quite stunned by their relationship because the couple seemed to be very different. This is because while Erica appeared to be the quiet and reserved type, Stitches, on the other hand, was very controversial and appeared rough with many tattoos of stitches all over his face and other body parts. However, despite their differences in taste, they loved each other deeply. The couple continued dating for some years before they finally tied the knot in marital union. Their wedding was held in a quiet ceremony on the 31st of October 2012. They stayed married for some years before they fell apart in 2017 and divorced. Neither Erica nor Stitches has spoken about why they went their separate ways. While they were married, Erica and Stitches reportedly had three children together; a girl and two boys. Their daughter was named Evelyn Katsabanis while their sons have been identified as Rocco Katsabanis and Rex Katsabanis. Both Erica and Stitches are very fond of the kids and Stitches has often displayed the children on his social media pages. 4. She is Older than Stitches by 11 years! A very interesting part of the relationship between Erica Duarte and Stitches is that the age difference between them is really wide apart. According to some reports, Erica is older than Stitches by a massive 11 years. Despite the age difference, they didn’t think it a barrier to their love affair and remained together for 5 years before going their separate ways. After her divorce, Erica has kept a low profile and not much has been heard from her.